Japan is now very accessible to Filipinos, thanks to low-cost airlines offering promotional seats. Getting a Japan visa is the first step that people do in the past before securing a plane ticket. This is to ensure that money spent on tickets won’t go to waste if visa application will be denied. But with airline promotions, people now clamor in getting discounted flights to Japan before applying for a Japan visa. 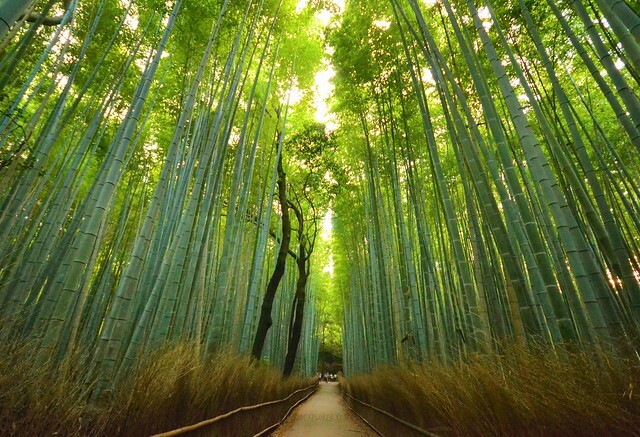 Arashiyama Bamboo Forest in Kyoto. Plane ticket, however, is not part of the requirement and not guarantees visa approval. If you’re one of those who’ve booked a piso fare flight to Japan, without a blink of an eye, here’s a simple process on how to apply for a Japan Visa. I applied for a Japan visa for a 2-week trip to this Asian country. This process is for a traveler who’s single, employed by the company for almost 3 years, and has six-digit savings. Before application, I’ve been to countries like Singapore, Malaysia, Cambodia, Thailand, and Vietnam. Single entry Japan visa is only valid for 3 months from the day of approval. With that, it’s better to apply for a Japan visa not earlier than 60 days before your date of intended visit. Unlike South Korea, applying for a Japan visa needs to be done on one of their affiliated agencies. Embassy of Japan has accredited travel agencies for visa processing. I applied for my first Japan visa when I was still working in Cebu. There are few accredited agencies in Cebu but I picked Friendship Tours and paid Php1,200 for my Japan visa application. I was able to get my visa 3 working days after my submission. The list of agencies are listed below but for complete details on address and contact numbers, visit this updated webpage. 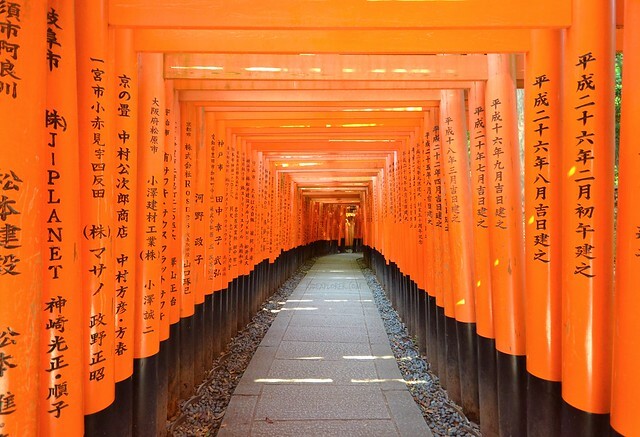 Fushimi Inari Shrine in Kyoto. Turn around time for the visa processing ranges from 3-7 days considering that all your documents are complete. The agency informed me about my visa getting approved 3 business days after my submission. Don’t take the risk, processing might take more than a week if the embassy still needs other documents from you. I have a friend who had his visa approved after a month because the embassy asked for additional documents. Always check for holidays before your application as it may interfere with the schedule of the visa results. This segment is the most tedious part of visa application, the needed documents. 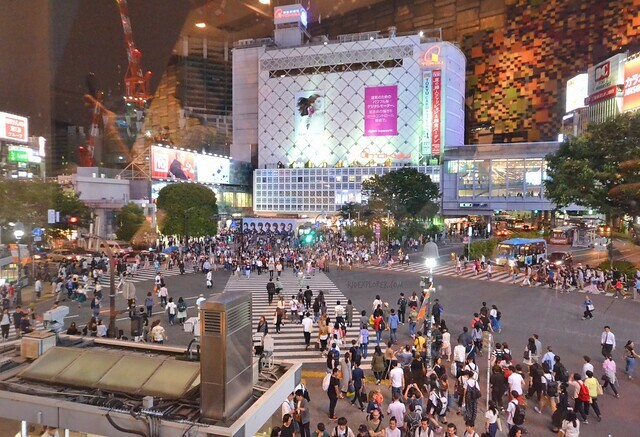 Compared to South Korea, I consider preparing the requirements for Japan visa less demanding. This is for first-timer applicants who just wish for a single-entry visa, the embassy might give you multiple-entry for a first-time application based on my readings, but I don’t have any idea on the bases. There are several types of visa to apply and this blog will only deal applications for a tourist visa. Others types are visa for visiting a friend or distant relative, visiting relatives, commercial purpose, conference by public/private organizations, and a lot more. 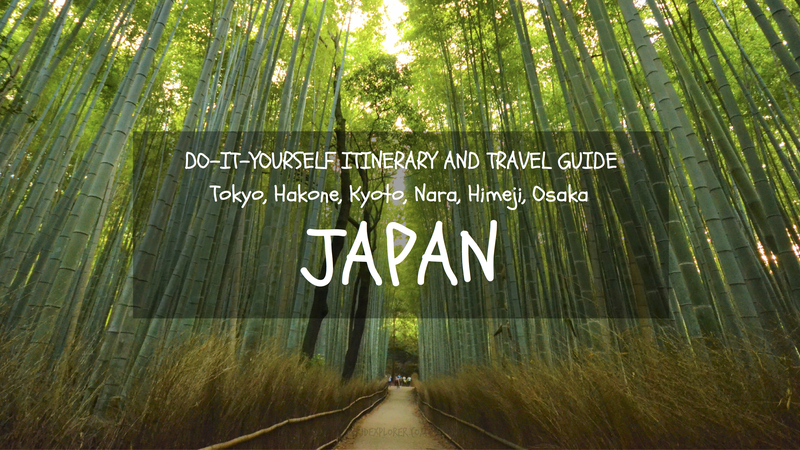 For the complete list, check the website of the Embassy of Japan in the Philippines. Philippine Passport. Applicant’s passport should be in good condition, signed, and has at least two (2) blank pages. Visa Application Form. This document is available online, check this link, or at the affiliated agency. You can also fill out the form online and just print it out with your details filled in. Here’s a sample filled out form that can serve as guides for applicants. It is advised to fill out the form properly and completely. Incomplete or wrong information may deny the application. Put “N/A” if the detail is not applicable. Passport photo. You need to take note that the photo for the Japan visa application has specs. The photo should be taken within the last 6 months on a white background, 4.5cm x 4.5cm dimension, and with your name written on the back side of the photo. Paste it on the application form. Don’t staple! Birth Certificate. The birth certificate must be PSA authenticated and issued within one year. You can get one and delivered to your address in just few days. If the PSA copy is unreadable, submit the PSA copy together with a birth certificate issued by your Local Civil Registrar. Marriage Certificate (for married applicants). Similar to the birth certificate, the document should be PSA authenticated and issued within one year. Taizai Yoteihyo or Daily Schedule in Japan. The embassy requires a form enumerating the daily activities in Japan. You can check the embassy’s sample form here. For my 2-week trip, I submitted the following daily schedule. Since they validate the capacity to travel based on the bank certificates, others submit a minimal daily schedule with a minimum of 4-day stay. Bank certificate. The validity of bank certificate should be three (3) months from the date of issue. The certificate should be addressed to the Japan embassy. The bank already knows about it you just need to inform them that you’re using the document for Japan visa application. Bank Certificate and Income Tax Return (Form 2316) of the guarantor. Foreign residents with long-term or permanent status in the Philippines applying for a visa must submit, in addition to the above requirements (except birth and marriage certificates), a copy of their Alien Certificate of Registration (ACR) issued by the Philippine government. Visa application of foreigners who are on short-term (temporary) visa in the Philippines cannot be accepted. Please apply at the Japanese Embassy /Consulate General with jurisdiction over the area in which the applicant resides or over the country of which the applicant’s passport was issued. Here’s is my 2-week itinerary when I visited Japan last June. I spent Php37,000 for transportation, food, tourist passes, and entrance fees to museums, palaces, and shrines. I was able to visit seven key cities of Japan: Tokyo, Hakone, Kyoto, Nara, Osaka, Himeji, and Kobe. You are allowed not to follow the daily schedule you’ve submitted. You can check this by comparing the daily schedule I’ve submitted and my sample itinerary. What’s the best travel agency to go for a higher chance of approval? As far as I know, the choice of agency to process your Japan visa application isn’t related to the visa results. Though other agencies use their approval rate to market their services. The form asks for an address in Japan, do I need to book my accommodation/s before applying? As mentioned above, flight and accommodations are not required. The details you’ll be putting into your Japan visa application form are just options if ever your visa is approved. To lessen your worries, you can book from sites like Agoda or Booking and look for cancellable reservations. Can I apply for a multiple-entry visa on my first try? Give it a try. You might be lucky but on other forums, few people said that if you applied for a multiple-entry visa and got denied, they won’t give you a single-entry visa. Anyhow, you can check the requirements for a multiple-entry visa. One of the must requirements for a multiple-entry visa is to submit a form of reason why you are requesting a multiple-entry visa. I have more than one savings account, is it okay to submit both to show the embassy my capacity to travel? If to prove the embassy your capacity to travel to Japan is your major goal, then providing more than one bank certificate is fine. Will the embassy send the visa directly to my address? No. The agency will send you a text message once they get your application result. I received mine 3 days after my application. They sent me another text message to pick-up my passport at their office. Once your visa is granted, you’re now ready to visit Japan! But don’t forget to plan your activities to do on your trip. Check my 2-week Japan trip last June. For hassle-free booking of JR Pass, tourist passes, theme park pass, and other activities on your trip, check the activities below. The commission I’ll get for every successful booking comes at no extra cost to you.